Time flies, it seems, as we get older. We vaccinated these heifers yesterday for Brucellosis, though it seems that not long ago we branded them as calves. Averaging 725 lbs., most of these girls will join the cow herd when we introduce them to the Wagyu bulls in December. As we chase the seasons, the circle seems to get tighter. With most of our cattle work done, we are seasonally at the end, while approaching the beginning, of our cattle year. It feels good to be done as we look forward to fall calving and a chance of rain again. In the meantime, we have plenty of repair and maintenance jobs to address, salt and mineral to keep in front of our cows. It’s been a warm summer, thus far, well-over a hundred degrees since the Solstice. Despite the shorter days, we expect more of the same through September. With gathering, weaning and shipping our steers to town, we’ve been pushing to this point since April. It seems appropriate to thank our crew, Terri Drewry, Allie Fry and son Bob, here every morning at daylight with smiles on their faces, ready to get the work done. 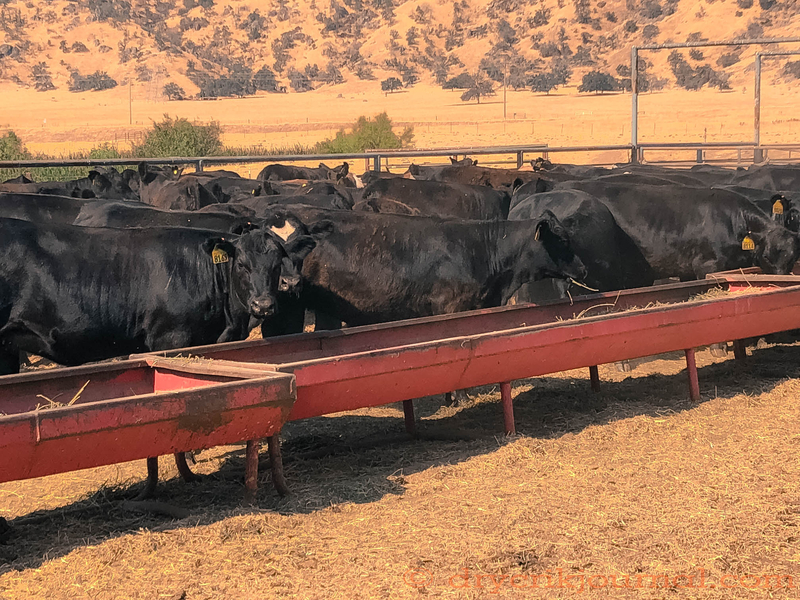 This entry was posted in Photographs, Ranch Journal and tagged cattle, photography, weather. Bookmark the permalink.